Among the falls I visited (Tumalog Water Falls in Oslob Cebu, Katibawasan Falls in Camiguin Island, Bugtong Bato Falls in Tibiao Antique, Cambugahay Falls in Siquijor, Kawasan Falls in Badian Cebu, Samboan Hidden Falls in Cebu and Gunhuban Falls at Buli, Bato, Leyte). 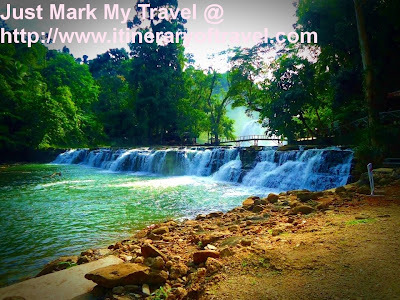 I considered Tinuy-an Falls is one of the most majestic or amazing waterfalls in the Philippines. The scenic view of the falls can relieve all of your stress and problems for a while. Hehehe. Tinuy-an Falls is also considered as the top wonders in Surigao del Sur. 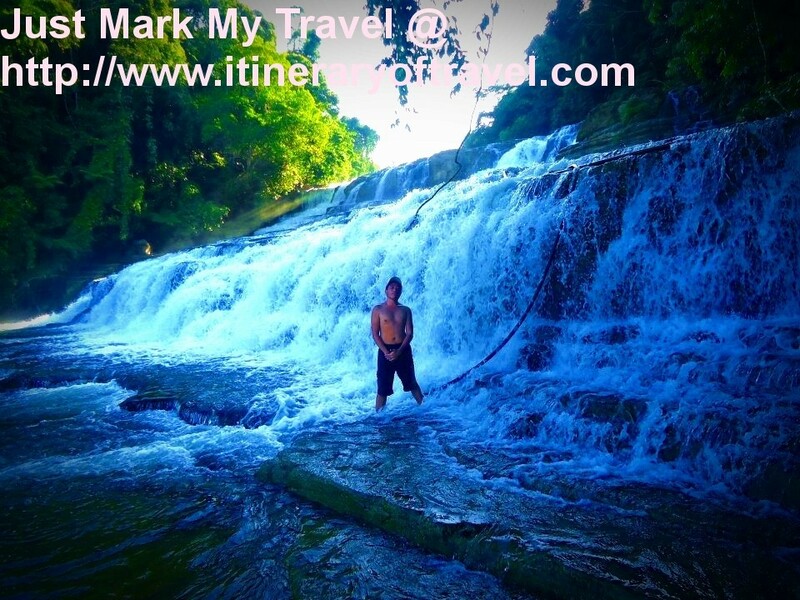 One of the widest in the country and they called it as "The Niagara Falls of the Philippines"
Tinuy-an Falls is located in Barangay Borboanan, Bislig City, Surigao del Sur in the Southern Philippines Island of Mindanao. Standing at 55 meters (180 feet) tall and 95 meters wide, a white water curtain that flows in three levels. The trip going to Tinuy-an Falls was quite long enough, tortuous and rugged but when I arrived I got speechless. So much fun and earth shaking happiness. 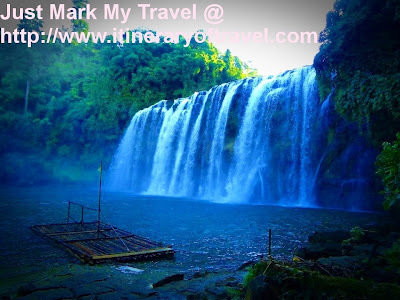 A great experience indeed, so don't miss the chance to drop by and explore the beauty of Tinuy-an Falls. Is quite difficult to get there. There is no regular public transportation going to the place. You should hire a habal-habal (motorbike) to reach the place. Bislig City can be reached by taking any of the daily scheduled airlines (Cebu Pacific, Airphil Express and other airlines) from Manila or Cebu via Davao City, Butuan City or Surigao City. You can take regular trips of aircon and non-aircon buses (Bislig route). Upon reaching the Mangagoy Integrated Terminal in Bislig, there are numerous habal-habals or motorbikes that go to Barangay Borboanan where the waterfall is located. Enjoy your trip and be safe!